Might not be the best John Hughes movie of all time, but then again, this is the one that started it all. 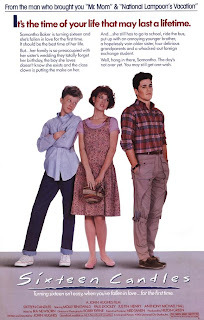 Sixteen Candles is about a Sophomore in High School named Samantha Baker whose parents forget about her sixteenth birthday because they’re too caught up in her older sister’s wedding. And like many a sixteen-year-old girl, all she wants is go steady with Jake Ryan – the hunky Senior who’s dating the prom queen and has a secret crush on Samantha – but she thinks he doesn’t even know she exists. Oh, the drama. That Jake Ryan is such a tease. It’d been a while since I’d seen this, but after giving it another look for the first time in years the other night I was pleasantly reminded that Sixteen Candles really is one funny movie. This eye-opening experience along with this whole weekly poll jazz is making me want to revisit the entire John Hughes collection because I’m pretty sure I’ll be having the same reaction to Ferris Bueller and Planes, Trains and Automobiles, both of which I haven’t seen in ages. I don’t know, these are the kinds of movies that are worth revisiting every once in a while because they’re always going to ring true no matter what age you are and because they’re just really damn funny. And the main reason this movies is still good and don’t feel dated 25 years later goes right back to John Hughes himself. I think I mentioned this in my Breakfast Club review, but I can’t think of any other screenwriter that’s ever really managed to capture the voice and mindset of youth and teenage angst in such a witty, Salingerian way as Hughes. The other reason Sixteen Candles works is the cast. Even though they could all cure cancer and still be remembered as “The Brat Pack”, they’re all freakin’ great here. Molly Ringwald is totally believable as Samantha Baker, the role of “The Geek” is probably the best contribution Anthony Michael-Hall will ever make to this world, the unappreciated Paul Dooley always plays a great Dad (check out Breaking Away if you have no idea who I’m talking about), and if Gedde Watanabe hasn’t legally changed his name to Long Duk Dong by now, he should really get that taken care of. But these are just a handful of standouts in amidst a cast filled with hilarious, eccentric performances of people we all remember from High School. The other thing I like about this is that it’s way, way, way less lovey-dovey than Pretty in Pink and is a way, way, way more enjoyable date movie for both the ladies and fellas. Maybe it’s just me, but Pink just didn’t do it for me, and no, Ducky didn’t do it for me either. I know Hughes didn’t direct it, but come on, like everyone doesn’t associate Sixteen Candles with Pretty in Pink. There’s also a great ’80s soundtrack here, and considering some of the hits of decade, that’s an accomplishment worth noting. But like I said, it’s still not the best John Hughes movie. You can kind of tell it’s his debut effort as there’s a lot going on at once and the emotional oomph isn’t as prevalent as it is in, say, The Breakfast Club, but whatever, small complaints. This is a classic for good reason. So be the good boyfriend and add this sucker to Netflix. 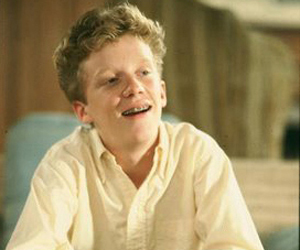 Everybody wins with Sixteen Candles. And thanks, John Hughes. You were the man. Funny thing about Gedde Watanabe is that as the years have gone by he has tried to divorce himself from this movie. I guess he fell in line with all the people who decried his character as racist and he actually does speaking engagements where he bashes the movie, mostly his role, all to high hell. I’m actually not surprised, it is kinda stereotypically racist. But sorry, Gedde, you will always be Long Duk Dong. That must have been the worst speaking engagement of all time, to pay for the Donger and just have him go up there and go off about how racist he was. What a buzzkill.